The Insight Observatory project was initially created with the goal of finding a dark and clear remote observing location for the organization's 16" Astrograph Imaging Telescope. Insight Observatory Co-Founder, Muir Evenden, donated the imaging telescope and robotic mounting system for use. 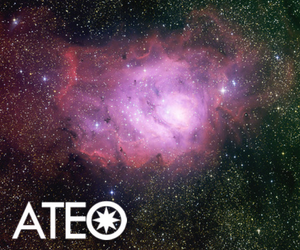 This remote robotic telescope system will have the purpose of providing access to students and the general public allowing them to participate in legitimate scientific research. 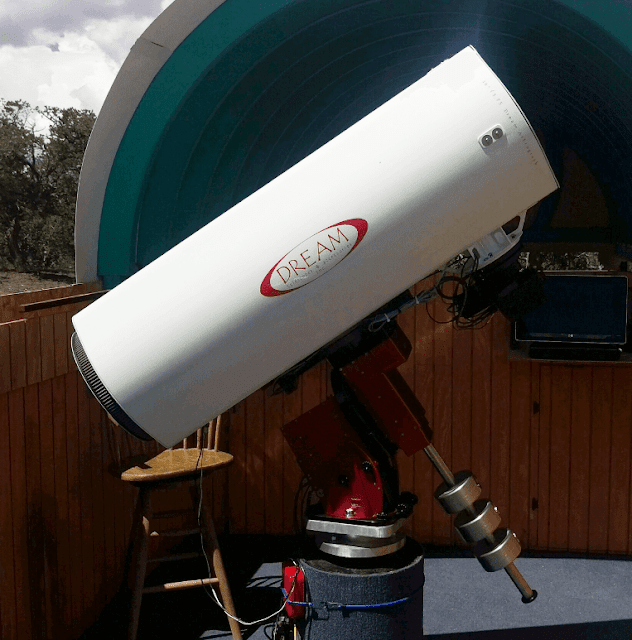 Insight Observatory is currently accepting sponsorships via Patreon and PayPal, for the cost of hosting and maintaining the 16"Astrograph Imaging Telescope that is currently hosted by SkyPi Remote Observatory, located at an elevation of 7,778 ft in the dark skies of New Mexico. 5th Grade Students Requesting Image Data from the Astronomical Telescope for Educational Outreach. All of our kind contributors will be listed on the "Our Sponsors" page on this website. Insight Observatory thanks you in advance for supporting our mission of providing a "Gateway" to the universe for young and inspiring minds. 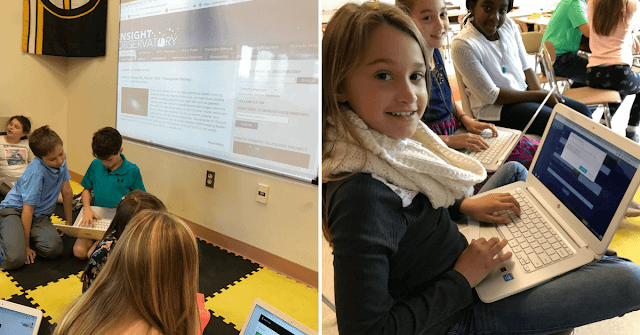 Become a supporter of the Astronomical Telescope for Educational Outreach!